The need to protect one’s home is as old as human civilization itself, and historically the methods that have been employed to enforce this security—from razor wire to guard dogs to electric fences—have been of the highly visible, even oppressive, variety. Modern advancements in digital technology, however, have steadily reduced the need for obtrusive physical barriers and there is a growing trend towards ultra-discreet security systems and low-profile personal safety solutions among Asia’s wealthy. Providing a blueprint for this brave new world of virtually invisible home security is the new generation of “smart” cities—digitally integrated metropolises where ubiquitous electronic sensors are used to respond in real time to the changing needs of residents. By making use of state-of-the-art surveillance equipment and sophisticated motion-activated lighting and alarm systems complemented by human patrols, these cities of the future promise peace of mind without compromising aesthetic harmony. 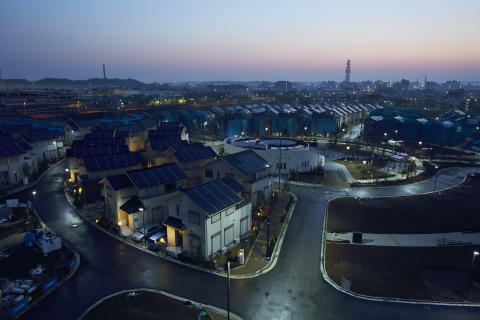 One such “smart” city is Fujisawa Sustainable Smart Town (SST) in Japan’s Kanagawa Prefecture, a groundbreaking residential development made possible through the work of future-facing companies such as electronics giant Panasonic. Constructed with an appreciation of modern lifestyle trends at its core, this cutting-edge 1,000-home project showcases the latest innovations in urban security at both a household and a municipal level. Using its advantage of being purpose built, the town’s first line of defense lies in its layout, which is cleverly designed to limit the number of possible entrances. This allows security personnel to easily monitor the flow of people in and out of the town with a subtly integrated camera system. This inconspicuous surveillance network is also used to keep tabs on blind spots, and to alert human security patrols to suspicious activity. Eco-awareness is at the heart of Fujisawa’s philosophy, and sustainability dovetails with personal safety in the form of the town’s motion-activated LED street lights. As well as reducing energy consumption by more than 80%, these intelligent bulbs are set to illuminate pathways intuitively when people are present and to dim when no one is around to save energy. In the homes themselves, the traditional security alarm has been given a significant upgrade through the installation of advanced intrusion and fire detection sensors, as well as a warning system for emergencies. Perhaps the most forward-looking security system of all, however, relies more on people than machines. While over-reliance on technology has been cited in some quarters as a potential cause of social isolation, in Fujisawa it is used to foster closer ties within the community, making it easier for residents to share information and provide extra attention for children and the elderly. While such integrated and comprehensive systems may be some way off for most cities, this brand of unobtrusive sensor-based technology is increasingly being used by companies and private consumers across Asia. For most of us it may not be here yet, but the day of security without fences lies tantalizingly on the horizon.